You made it through the first weekend! I hate to say it, but the real work starts now. 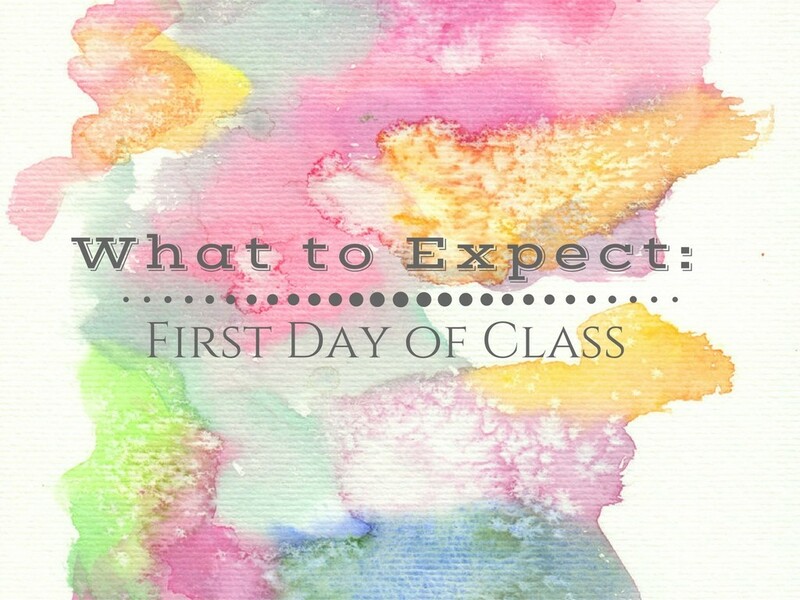 Here’s how to survive the first day of class! Back your bag the night before. Collect everything you’ll be needing for the busy day in your bag so you don’t find yourself scrambling the morning. It’ll allow for a stress-free beginning to your day! Find your classes beforehand. You’re not going to magically know where every building and room is right away. That’s okay! Give yourself a little time to locate everything the day before so that you aren’t late or, even worse, walk into the wrong classroom! Set three alarms. Honestly, this one is as much for me as it is for you. We all know the struggle of physically opening your eyes and getting out of bed in the morning. ESPECIALLY when your bed is lofted. (Can I get an amen??) Three alarms will make absolute sure you don’t oversleep! Go over your schedule with your roommate. Make sure you two are on the same page. Maybe even plan to grab lunch or meet up throughout the day to help give you something to look forward to and a familiar face to rehash the day with! Eat a good breakfast. By now, y’all should know that I’m obviously a huge fan of breakfast. Whether it’s a quick snack in your room before you head to class or a plate full of pancakes from Carillon, breakfast will do wonders to calm your nerves. Arrive early. I know what you’re thinking, NERD. Yeah, probably, but I’m not ashamed. I’m paying thousands of dollars for my education, so I’m going to do this right! Arriving early gets rid of the stress of finding a seat and leaves time for possible obstacles on your way to class. Come prepared! Don’t be that guy who asks for a pencil on the first day. Grab the essentials (pencil, paper, laptop, textbook, and a smile) and you’ll be all set! Try and meet someone in your class. On my first day of class I turned to my left and met someone who was, let’s just say, less-than-friendly. If I had given up then and there, I would have never turned to my right and met my sweet friend named Rebekah. Just go for it, what do you have to lose? Introduce yourself to the professor. This one was the hardest for me to do. It was a piece of advice that I had heard from countless others and I knew it was a good idea but I was really not looking forward to actually doing it. Nonetheless, I marched my nervous self up to the front of the classroom after we were dismissed, stuck out my hand, and stumbled through a greeting that sounded something like, “Hi, I’m Colleen, and I’m really looking forward to this semester!” Trust me, when you need help from that same professor later on in the semester, that beginning introduction will come in handy! Treat yo’self. YOU DID IT! Stop by Myle’s Dairy Queen and get yourself a treat. You deserve it.